US President Donald Trump seemed to revive hopes for summit with North Korean leader Kim Jong Un next month, as South Korean President Moon Jae-in said Kim was still committed to denuclearization. "We're looking at June 12th in Singapore. That hasn't changed," Trump said in the Oval Office while welcoming freed American Joshua Holt to the White House hours after his release from Venezuela. Speaking at the same time in Seoul after a surprise meeting between the two Korean leaders Saturday, Moon said the June 12th US-North Korea summit will go "very smoothly." "There will be practical talks between North Korea and US very soon. How well the practical talks will go is what is going to decide if the summit between North Korea and the US will be successful or not. But I believe the practical meetings, and I expect the summit on June 12th will go very smoothly," Moon said. The two leaders reiterated hopes for a successful North Korea-US summit after Trump abruptly canceled it last week. Trump cited hostile comments from top North Korean officials as his reason for scrapping the meeting, as well as concern about the country's commitment to giving up its nuclear weapons. Both he and Trump indicated preparatory meetings are ongoing for the Singapore summit. Moon also suggested a US-North Korean hotline could be opened in future. 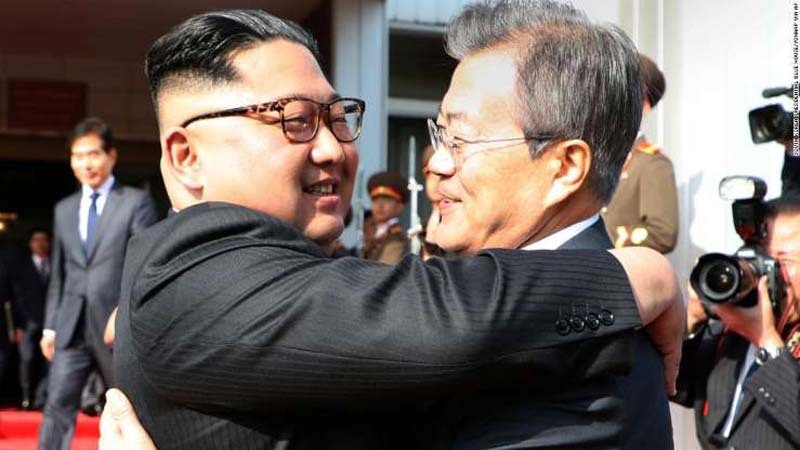 "Panmunjom, the historical land which had once come under global spotlights as a symbol of peace for making a new start of the north-south relations and opening up a new era of reconciliation and unity, witnessed the significant meeting between the top leaders of the north and the south once again after 29 days," the Korean Central News Agency (KCNA) said. US officials said the final strawfor Trump came when a North Korean Foreign Ministry official called Vice President Mike Pence a "political dummy" and hinted that Pyongyang was ready for a "nuclear showdown" should diplomacy fail.